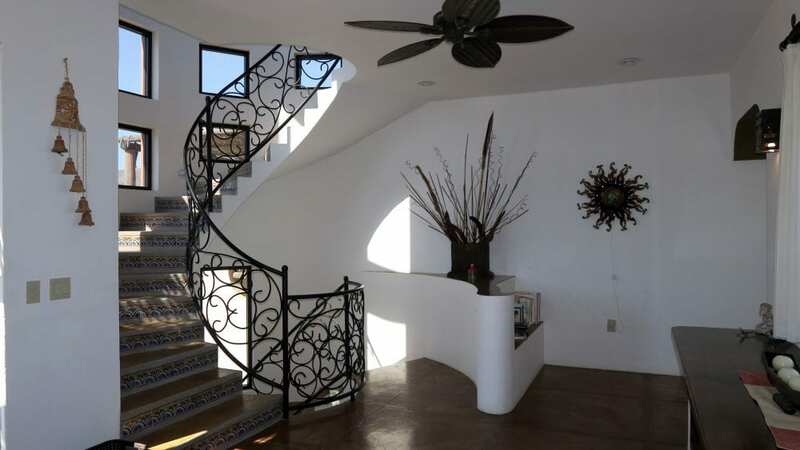 Casa Sacacorchos derives its name from the very beautiful Corkscrew stairs that rise up between the floors of this gorgeous home. 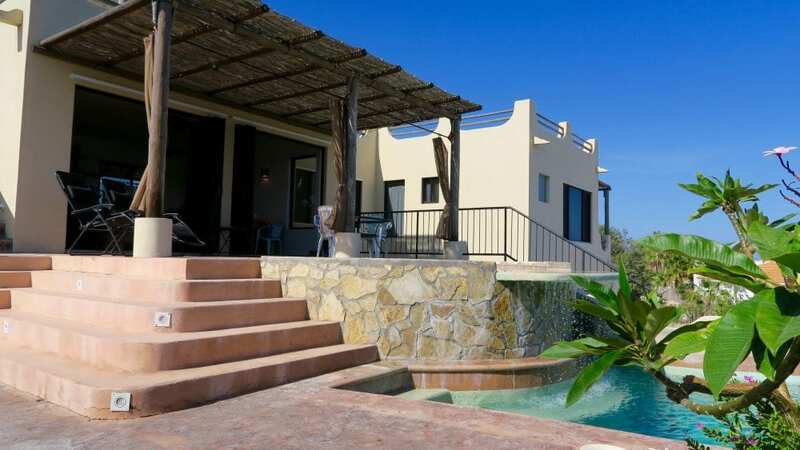 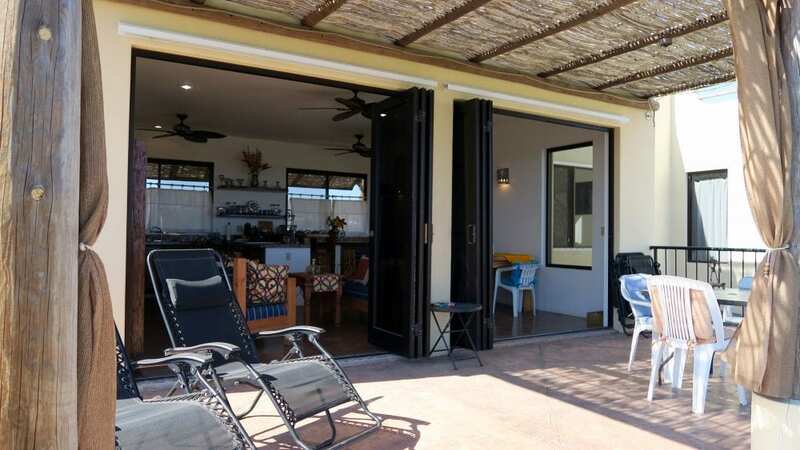 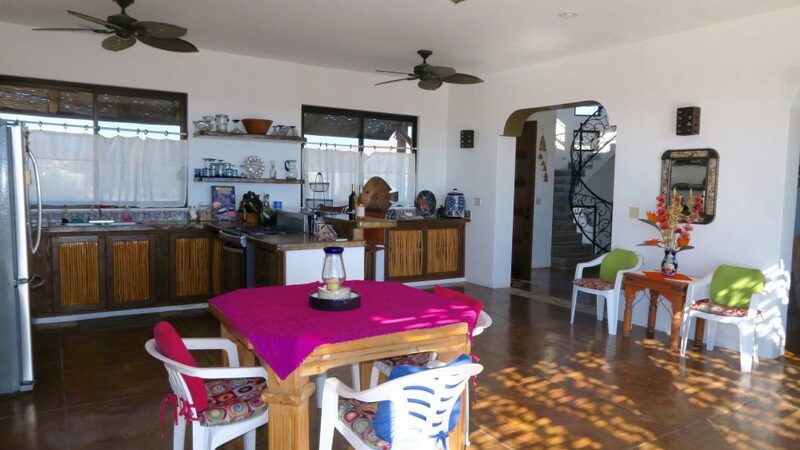 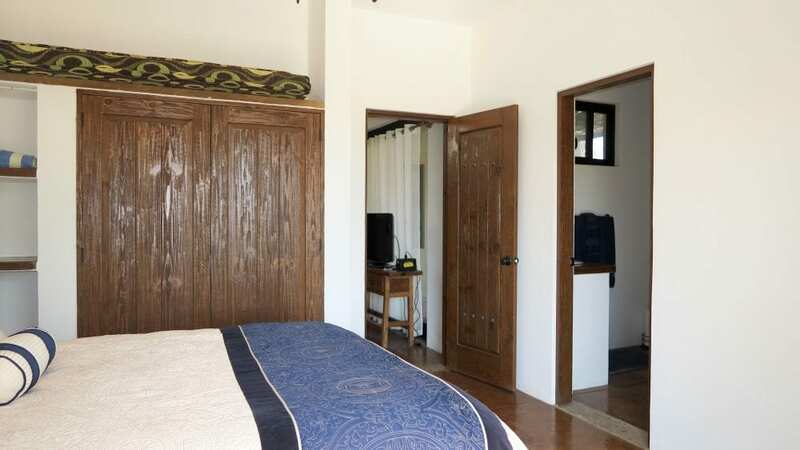 From the ground floor with 2 bedrooms en-suite and a TV sitting area to the main living floor with 2 bedrooms en-suite and living area, dining, and kitchen, the beautiful pool & soaking tub and Palapa covered bar on up to the rooftop lookout with 360° views. 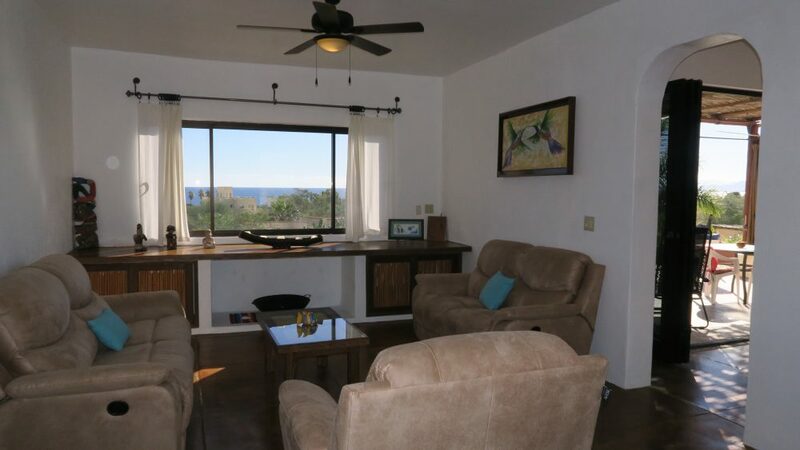 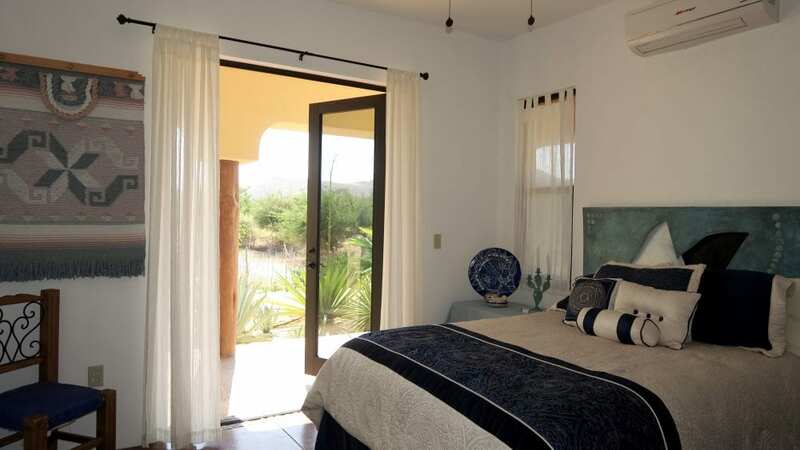 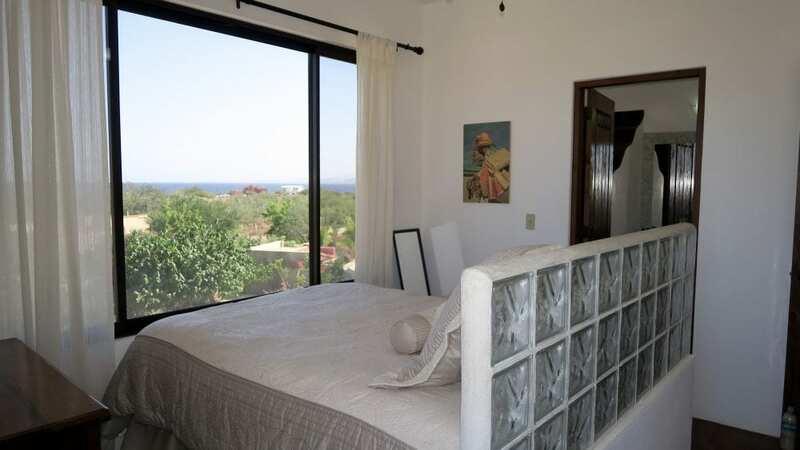 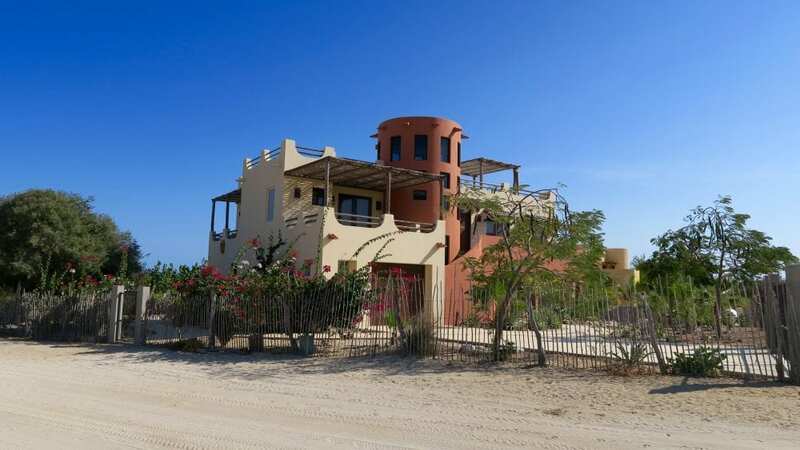 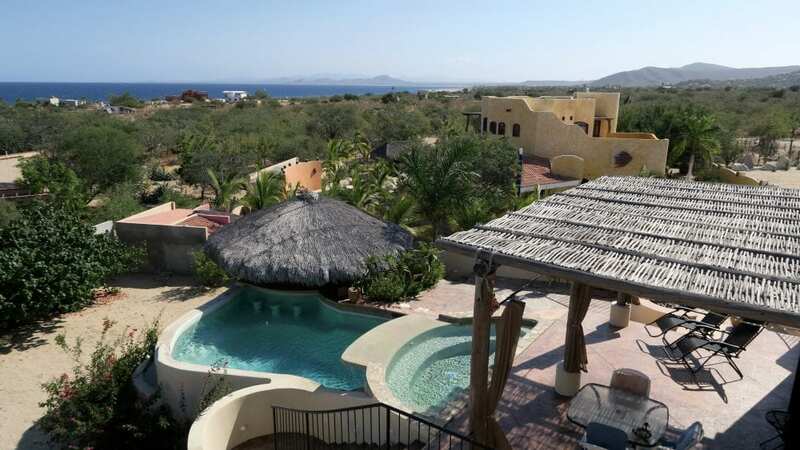 Gaze out over the Sea of Cortez and pan around to the Sierra de la Laguna Mountain range. 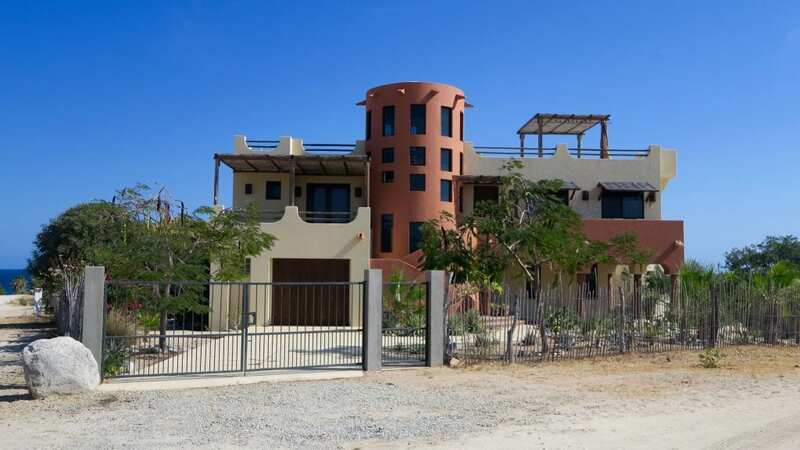 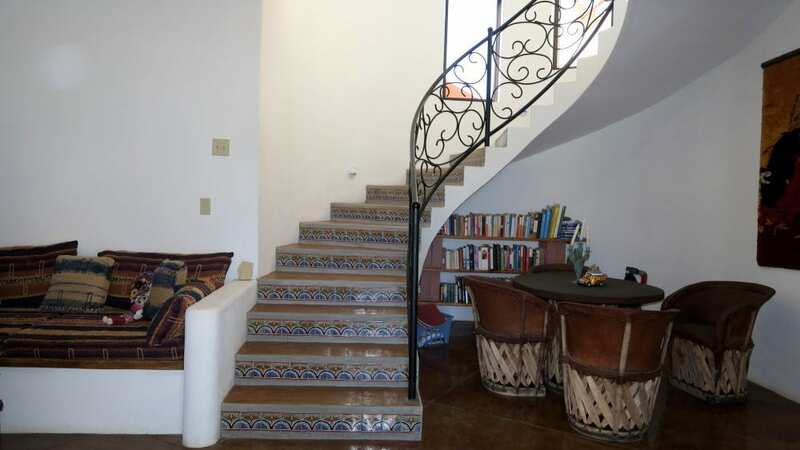 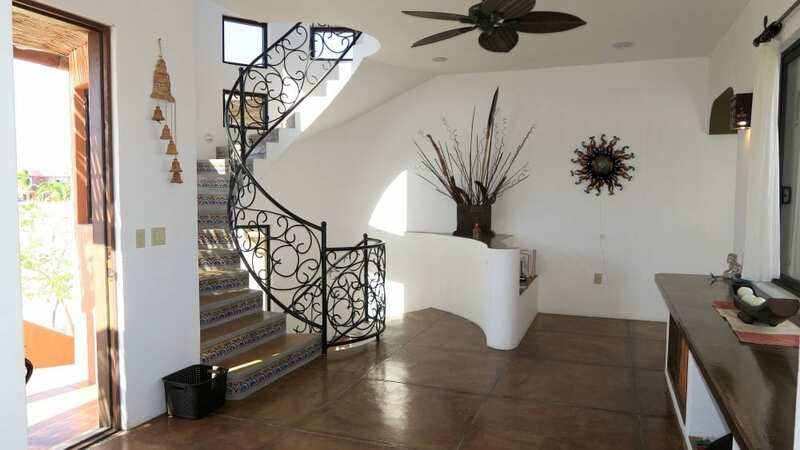 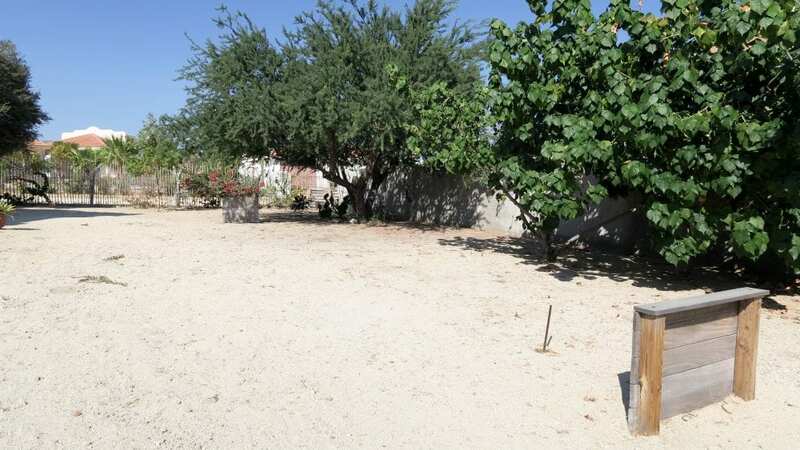 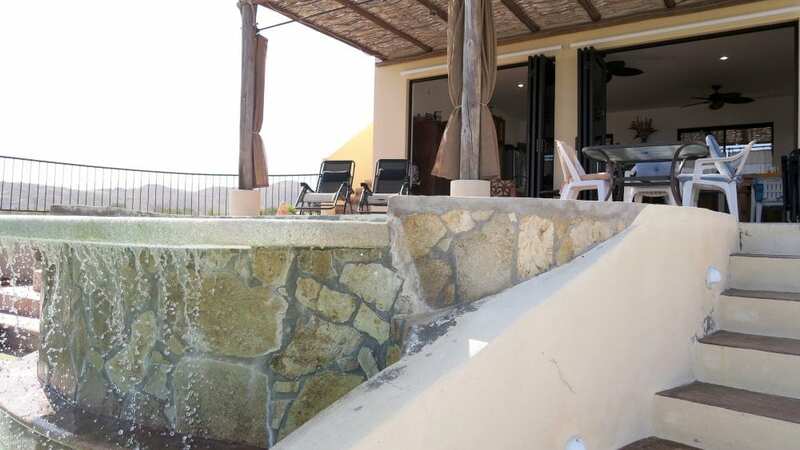 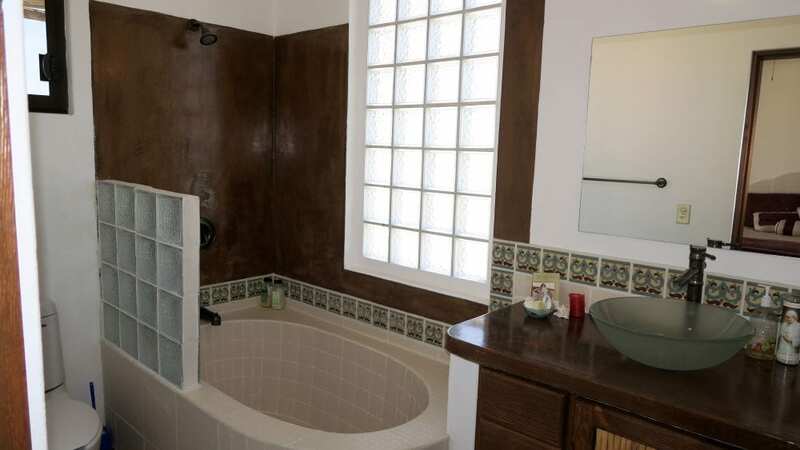 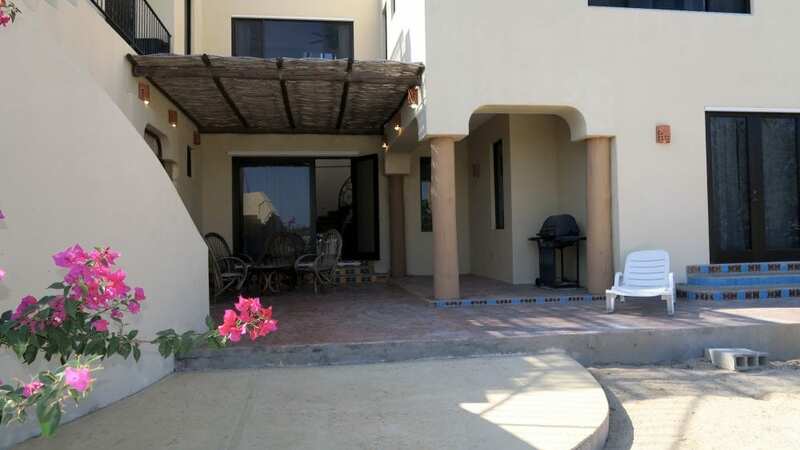 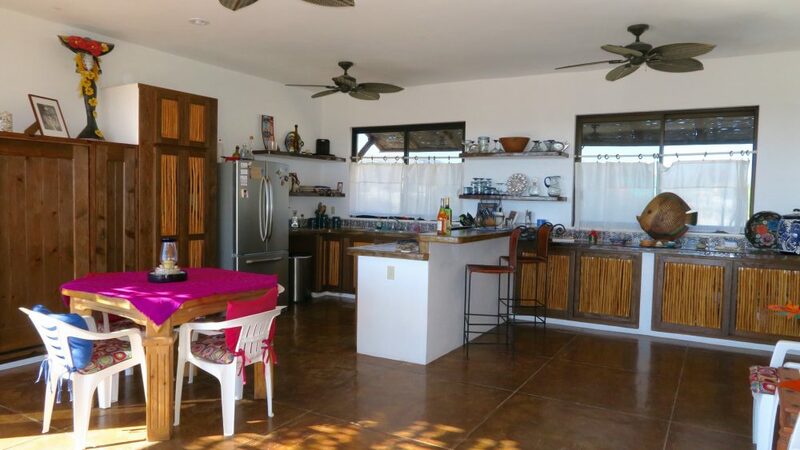 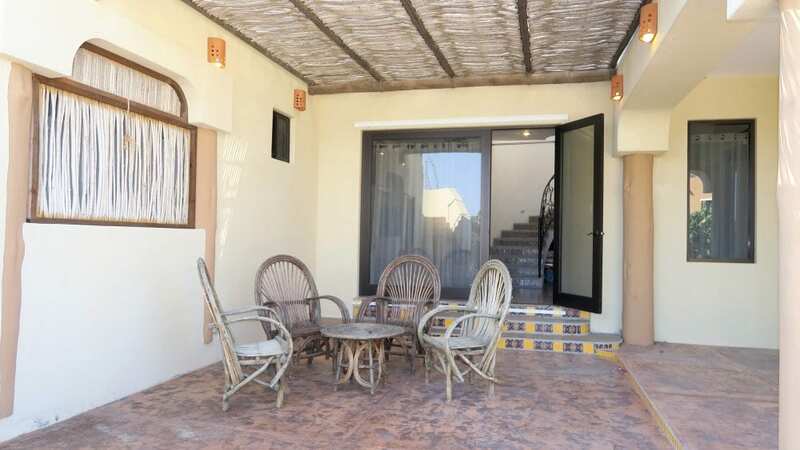 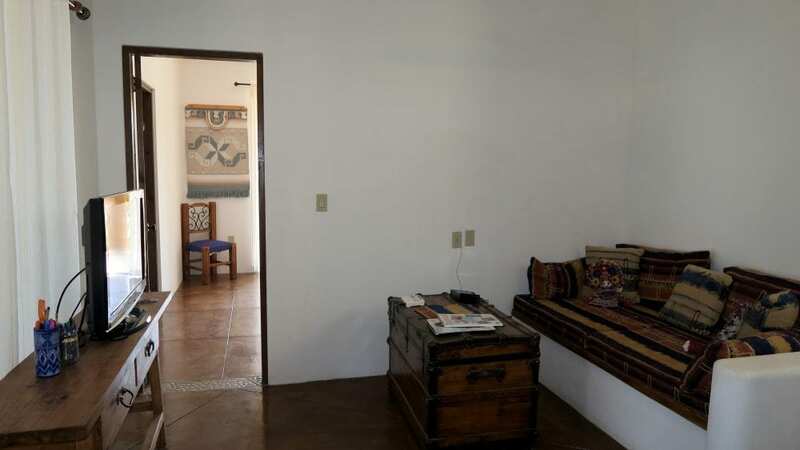 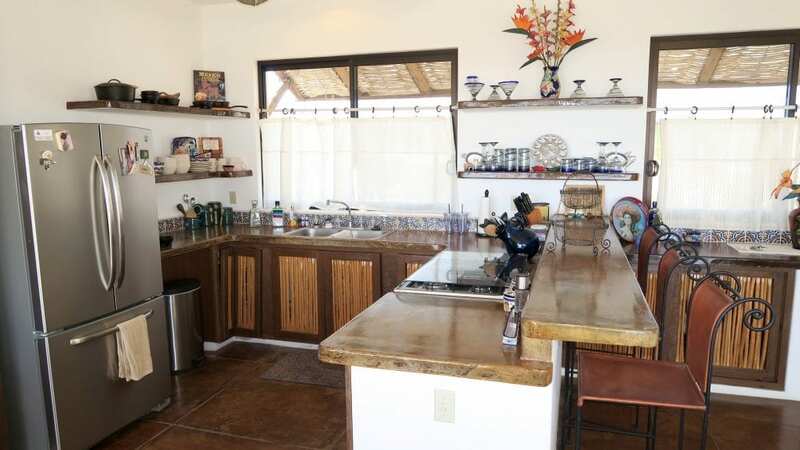 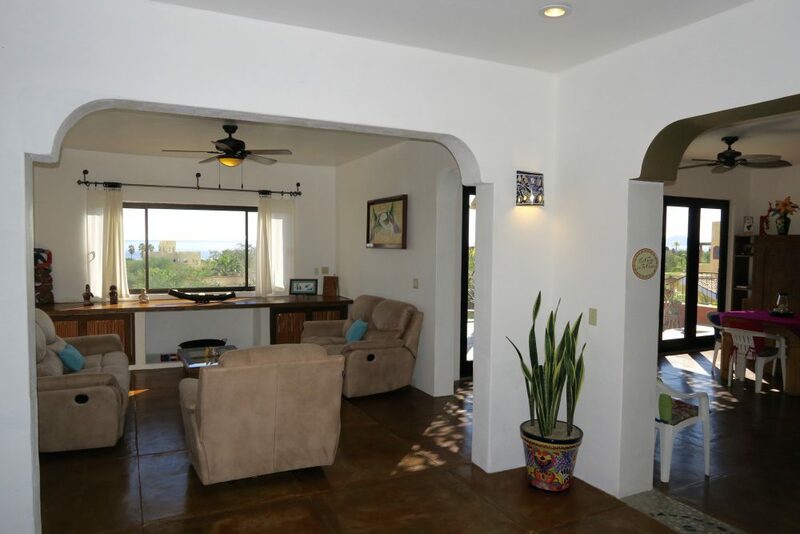 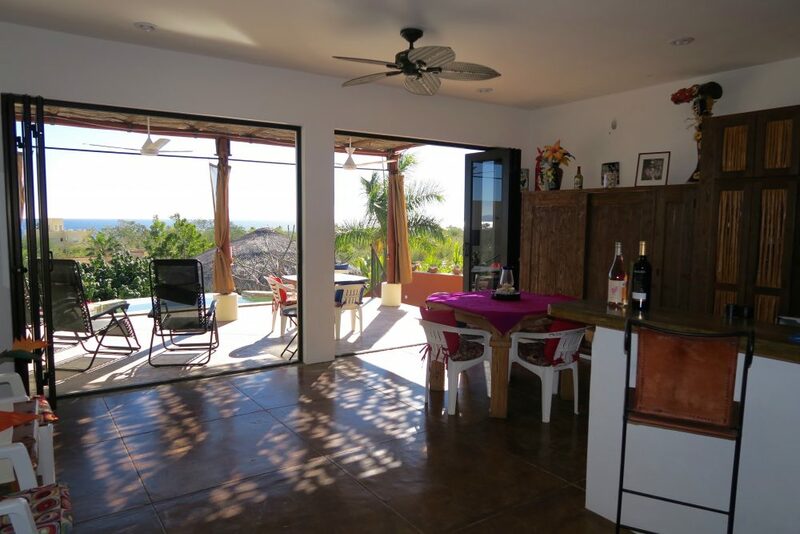 Beautiful patios situated around the home and property looking out to all points that surround the Casa. 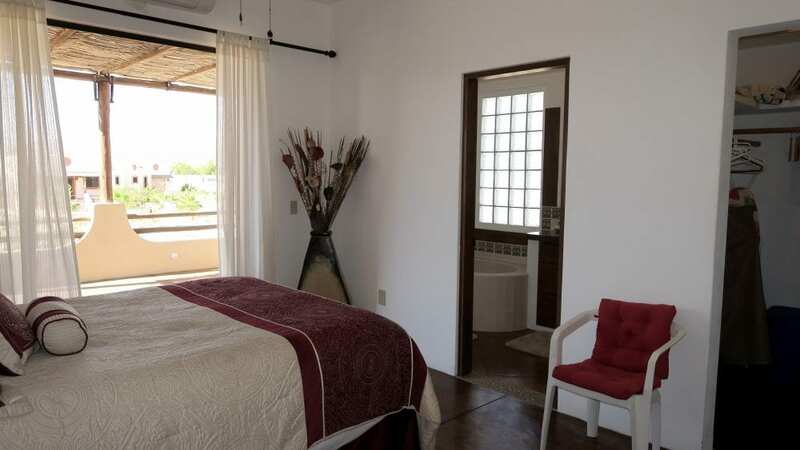 This beautiful Los Barriles B.C.S. 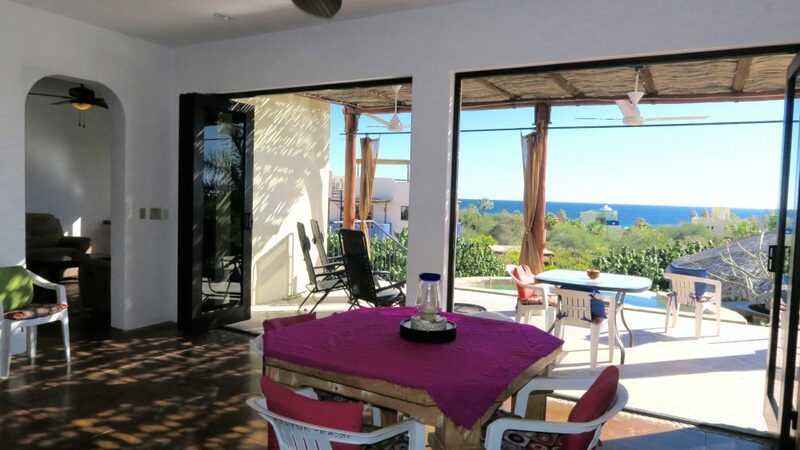 Mexico home is the perfect spot to sit back and enjoy. 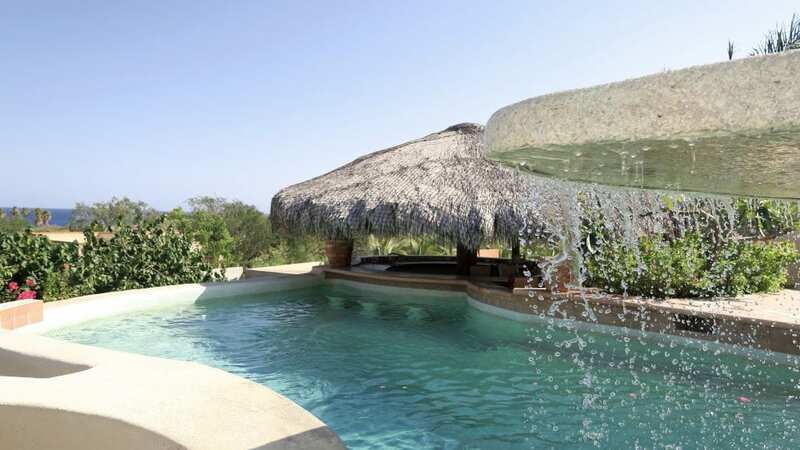 With your own horseshoe pit, ocean kayak and water floats you will certainly enjoy both the home and the beautiful Sea. 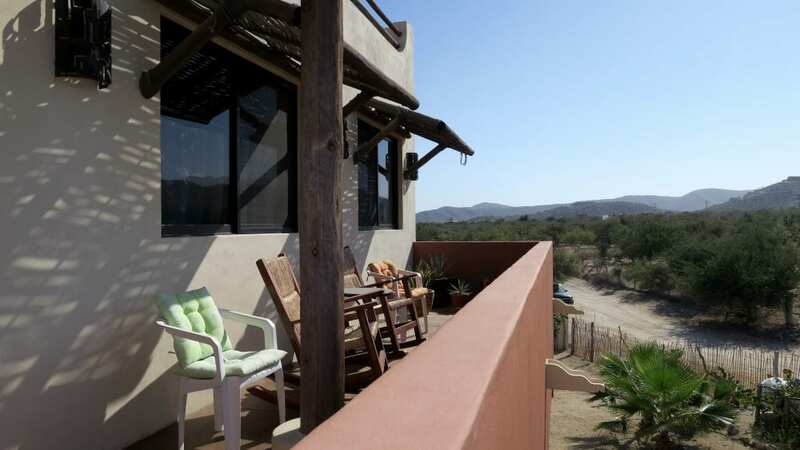 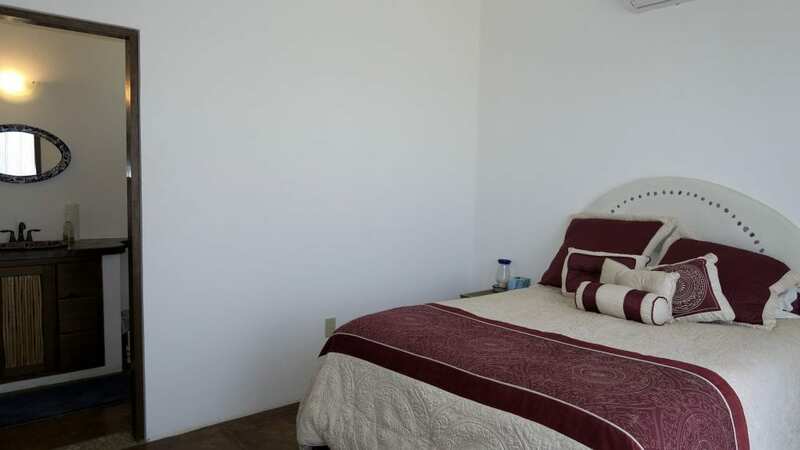 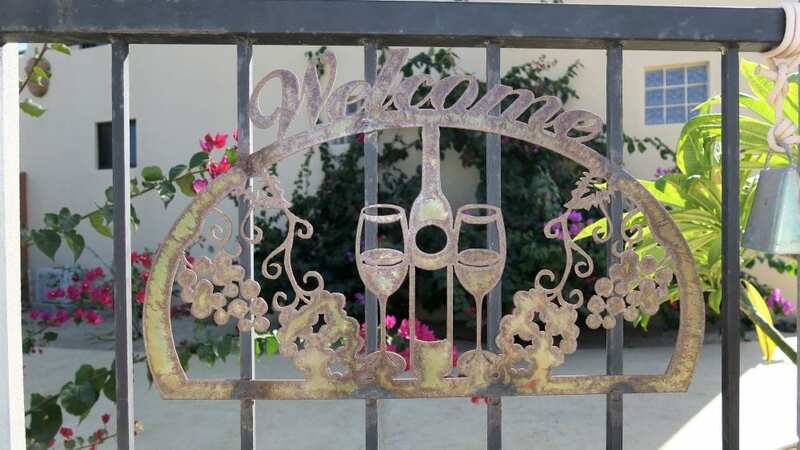 Walking distance to Tres Palapas Pickleball Resort!